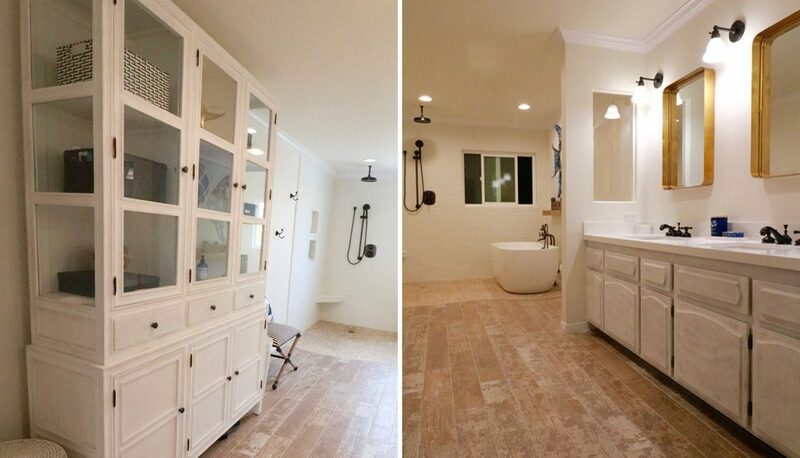 Here we remodeled a master bath and closet to one large open space plan ensuite as well as redesigned the dining room. 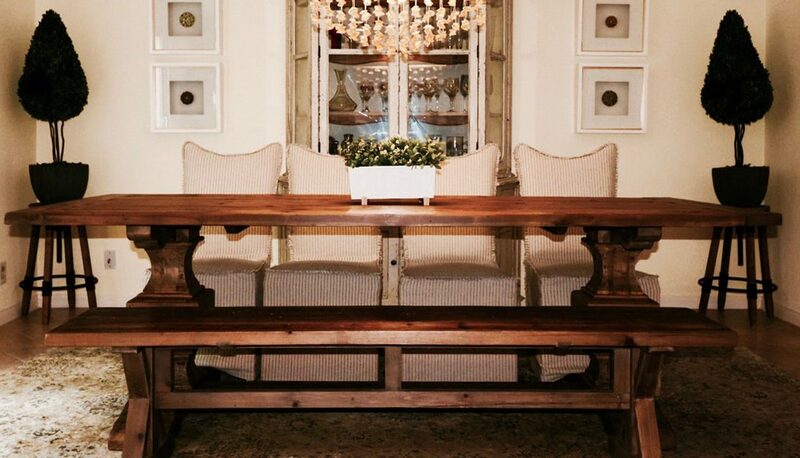 The dining room received new reclaimed wood table and bench and slipcovered dining chairs for ease of cleaning. A rectangular silk shade chandelier with amber crystals hangs above the table to give elegance to the rustic wood materials below. Dining cabinet, artwork and walls blend to create a sophisticated feeling and add to the visual space to the small room. 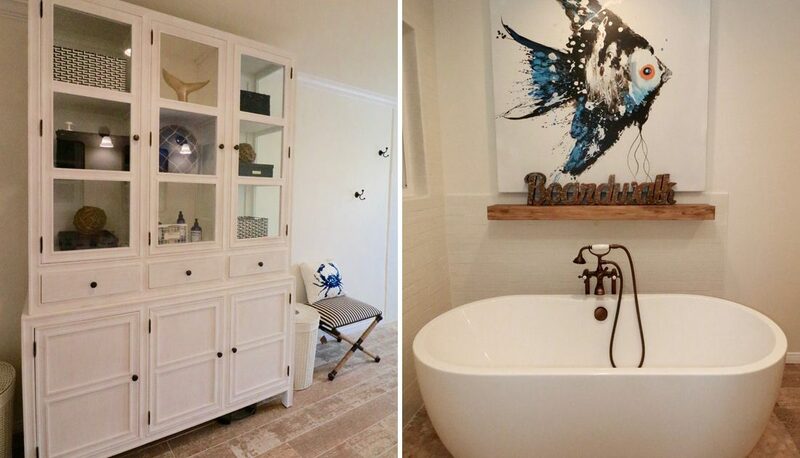 In the master bath, the goal was to create a beach inspired spa-like feel with a bright and airy material palette in an open concept space. The bathroom includes: a walk-in/no damn shower area that incorporates a beautiful free standing soaking tub, rain shower with sitting bench, custom refurbished vanity, gorgeous cabinet storage piece for towels and personal products with laundry hampers and custom floating wood shelf and sentimental art piece above the tub. 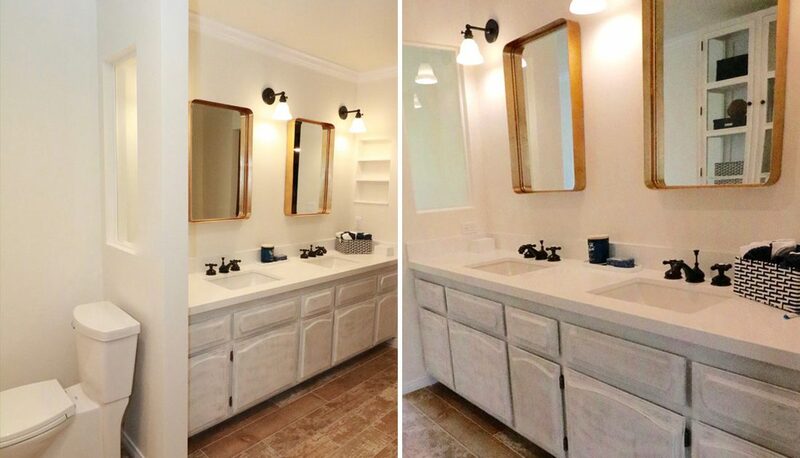 We used all white for our main material selections: Swedish white brick tiles from Italy were used on the walls, Blizzard White counter top from Caesarstone, white wall paint and distressed white finish on vanity and bathroom’s floor to ceiling cabinet. 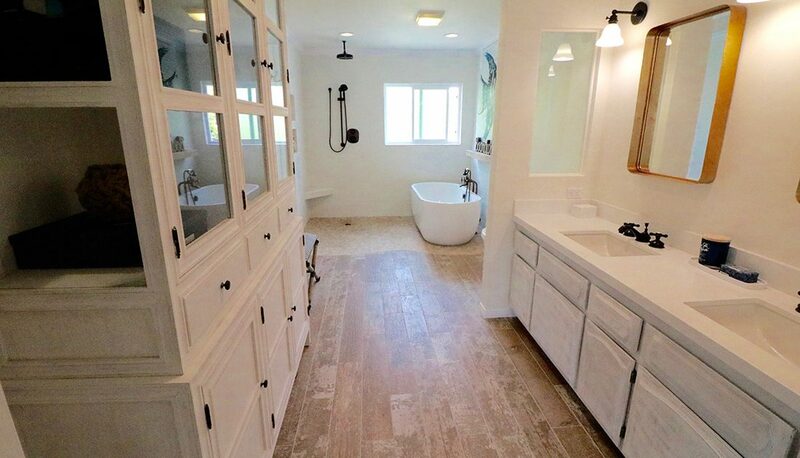 Using bright white for the main materials makes the accent pebble and distressed wood tile flooring look rich and warm in contrast. We selected oil rubbed bronze fixtures for an impact statement that would stand up nicely to the blue and gold accent colors in the space.